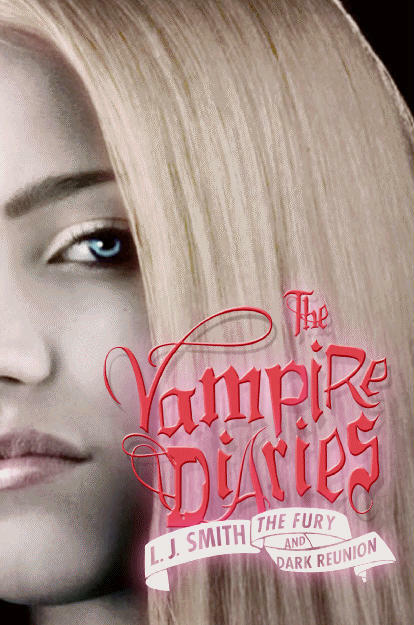 Tantalizer; The Fury: The Fury is Volume 3 in the Vampire Diaries book series. I’ve been watching the Vampire Diaries since it started airing last September. Great book, ingenius concept, awesome series, that of which I believe the author is still very much involved with the writing. In the opening of the novel, we find Elena, confused and disoriented, coming upon Damon and Stefan furiously fighting each other in the deep woods. All brothers fight, but these are vampires, and the battle, as one might guess, is more ruthless. Quick backdrop; In the prior novel, The Struggle, Elena exchanged blood with both brothers on two separate occasions; for Stefan, the need was life threatening, but for Damon, in his ever growing quest to possess Elena, threatened to turn to her loved ones if she didn’t. As a result of this blood ‘transaction’, she awakens as a Vampire after being killed in a car accident that was presumably, at this stage in the story line, caused by an unknown, malevolent force that seems to be stalking her. Starting in the first chapter of the Fury, Elena is beckoned to the location of the brothers’ conflict because of a voice that summoned her. Because Elena and Stefan were seriously involved with each other in the prior two books, it is believed to be Stefan petitioning for her help. Instead, it is Damon reaching out to her in a clairvoyant calling. In a shocking reversal of loyalty, and under Damon’s orders, she attacks Stefan , believing him to be the enemy and failing to recognize him as her former lover. At this point in the story, Damon has full control over Elena, and Stefan has seemingly lost her for good. But a greater purpose brings them together to fight a malevolent force that threatens the town of Fell’s Church. Katherine, an elder Vampire who turned the brothers some 500 years ago, returns with a vengeance. In Dark Reunion, the saga continues with a more threatening power that sweeps through the town. Soon after, young girls are dying in Fell’s Church, and a new enemy arrives, one they never imagined would follow in the wake of Katherine’s demise. Impressions: There’s a very soft, subtle yet poignant emotion to her writing style. Simple. Sweet, but very deep. Even though Elena seems exlusively concerned with herself (her goal of obtaining Stefan, using those around her as a means to achieve that end) she evolves in a way that goes well beyond the Vampir-ic metamorphosis. Great review of vampires diary. I like the show, but hate the actor playing Stephen, doesn’t fit.